Are you ready for Halloween? Do you have your scary costume and candy corn ready for next week? To get in the mood we will visit a number of houses in Greenwich Village that are thought to be haunted. Once occupied by the likes of Edgar Allen Poe and Mark Twain, some of these houses have multiple ghosts that have appeared to many residents over the years. So bring your disappearing ink and join in the fun. #5 14 West 10th Street is reported to have as many as 14 ghosts, giving it the title of House of Death. #10 85 West 3rd Street, where Edgar Allen Poe wrote the Cask of Amontillado. Supposedly he still haunts the house. #11 84 West 3rd Street, just across the street from Poe's house was once a firehouse it is haunted by Fireman Schwartz who hung himself after learning of his wife's affair. The building also was a speak easy and now Anderson Cooper lives there, but he isn't a ghost. DATE: THURSDAY October 26, 2017. 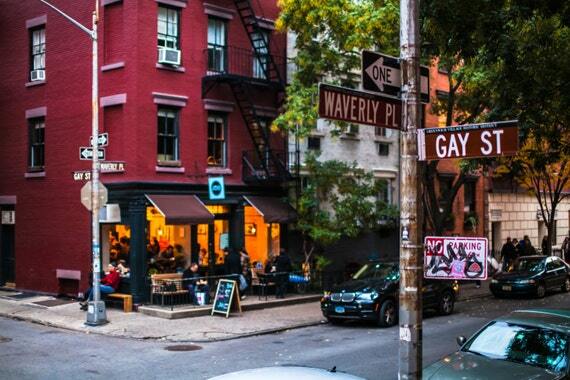 LOCATION: We will meet at 12 Gay St and spend about one hour, then move on to 14 West 10th Street. We will break for lunch in Washington Square Park about 12:30 and then at 1:30 move to West 3rd Street. Please RSVP directly to Raylie Dunkel at raylie@verizon.net. Looking for us? Text/call Raylie at 201-979-6387. Bring a stool and lunch or purchase it from one of the shops along the route.